The G-Shock store in Soho will hold an art competition tonight from 7-10pm. 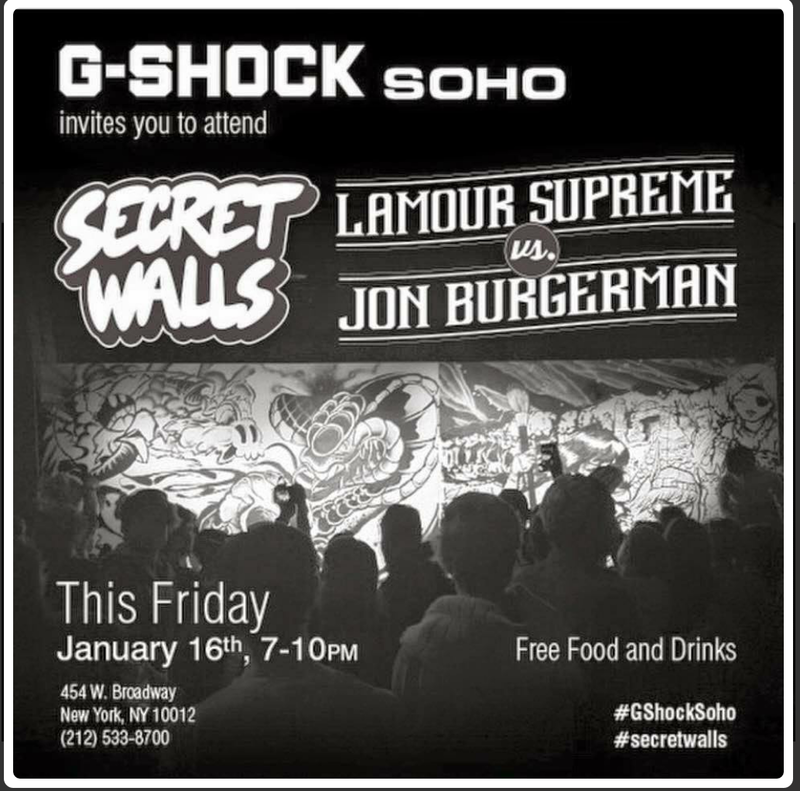 It will be Lamour Supreme vs Jon Burgerman. Free food and drinks will be provided. An rsvp is not needed. You just show up. Tags: art, drinks, food, Free NYC, G-Shock. Bookmark the permalink.